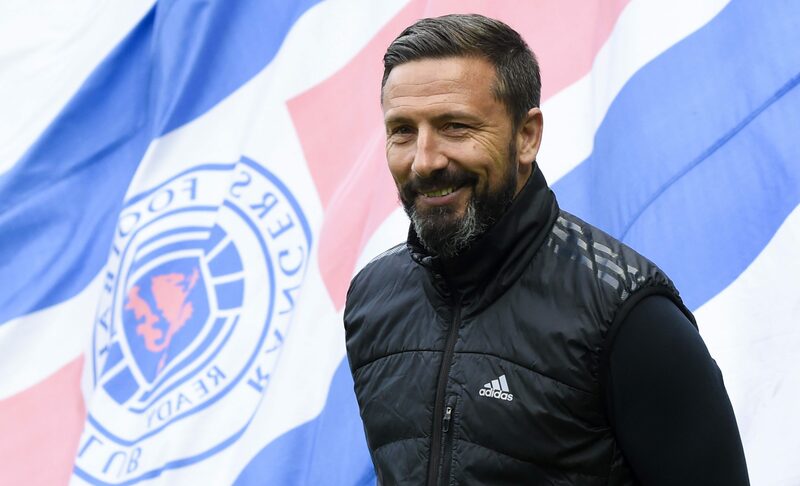 DEREK MCINNES is set to be announced as the new manager of Rangers this week. The Aberdeen boss has been the Ibrox club’s first choice to replace Pedro Caixinha since the sacking of the Portuguese 10 days ago. That remains the case, despite Graeme Murty’s quietly-impressive time as interim manager and the wins over Hearts and Partick Thistle. With the finance now in place to meet the £800,000 compensation bill to wrest both McInnes and his assistant Tony Docherty away from Pittodrie, they plan to use international week to make their move. They accept their target will find it hard to leave the North-East but are understood to be convinced he will view the challenge of taking over at Ibrox as one he will not be able to refuse. The capture of the man who leads one of their closest Premiership rivals would be a huge vote of confidence in the Ibrox club. It will show McInnes has been convinced the structure is in place at the Light Blues to allow him to break Celtic’s monopoly on the domestic honours. In the summer, he turned down the opportunity to become Sunderland manager because he felt it was not the right move for him to take. The sacking of the man who took the job, Simon Grayson, after just 18 games in charge suggest that was a wise move. Hoops boss Brendan Rodgers is very much an admirer of the Aberdeen manager. Just last month, he stated publicly he believed he would be the ideal man for the Scotland job on a permanent basis. His switch – not to Hampden but instead to Ibrox – would, of course, leave a high-profile vacancy at Aberdeen. Jack Ross, the St Mirren manager, and St Johnstone’s Tommy Wright are two potential candidates, known to have their admirers on the Pittodrie board. Adding extra spice to the situation is the fact that Rangers and Aberdeen have a Premiership double header coming up at the end of the month. The Dons travel to Ibrox on Wednesday, November 29 before they host the Light Blues at Pittodrie four days later. The fixture is a famously fiery one, anyway, but if McInnes’ move is confirmed, this would have the potential to be on a whole different level. While McInnes and Docherty are very much a managerial double act, it is unclear whether the former would also look to take the likes of goalkeeping coach Gordon Marshall, a former Celtic player, south with him.